I'm quite new to fusion. I stumbled upon the anonymous water video and found out (with some help) that the comp was inside Reactor. So I opened reactor and installed the scene... but, once installed... I can't find it anywhere. I know this maybe a silly call for help... but does anyone can head me to the right direction? I too am very new to DaFusion and this forum... my first post in fact. 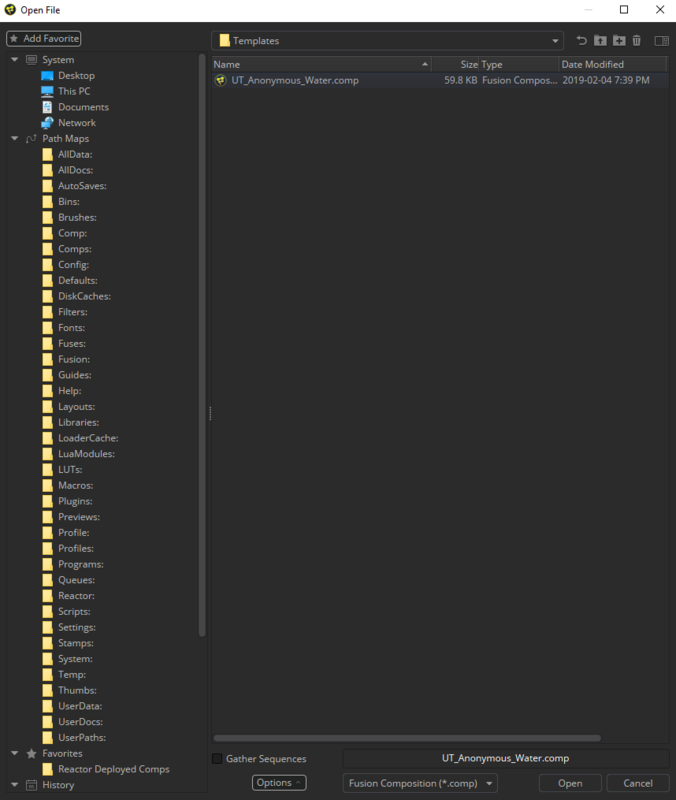 I located the Deploy folder by going to the DaFusion Fusion command bar/Scripts/Reactor/Tools/Show Docs Folder.... in the finder I navigated up one folder in the hierarchy to the Deploy folder... search for Water and you should find it in Comps/Templates. I imagine that there is a better way... but noob to noob whatever works. ah, I was too slow... But still, where did you find "Anonymous Water" in the WWW? Remember that Reactor: is a Path Map in Fusion (oh the glorious power of Path Maps ). So the easiest way to track these down, is to expand the Path Maps list in the File Requester and click the Reactor: one. Then navigate to Deploy->Comps. The Anonymous Water comp lives under Templates. You can add the Comps folder to your Favorites list (click on Add Favorite - top left corner), and rename it to your liking.